An interesting, and quite difficult job this one – this frame was stripped and nickel plated to give a beautiful finish. With red Rohloff hub gear and Hope hub at the front, and disc brakes. Can’t believe you rebuilt it with the original horrible plastic wheels though! There was a reason for that, but I forget what it was! I think maybe this customer had his own fancy wheels he was going to fit. Such a nice Brompton. I shall have to go and lie down now …….. euh! 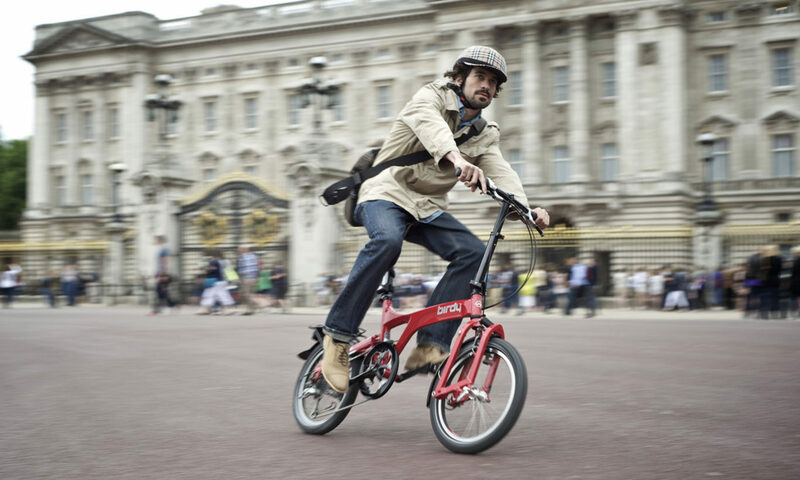 That is a really neat looking Brompton! The back triangle, was customized from scratch , or just the part to accomodate the Rohloff hub and the disc brake ? The fork as well ? Are there any more detailled photos of the disk side of the fork ? Both the back triangle and the forks are completely custom made – I’ve got lots of other pictures of other disc brake Bromptons, have a look in the Brompton category on the website.